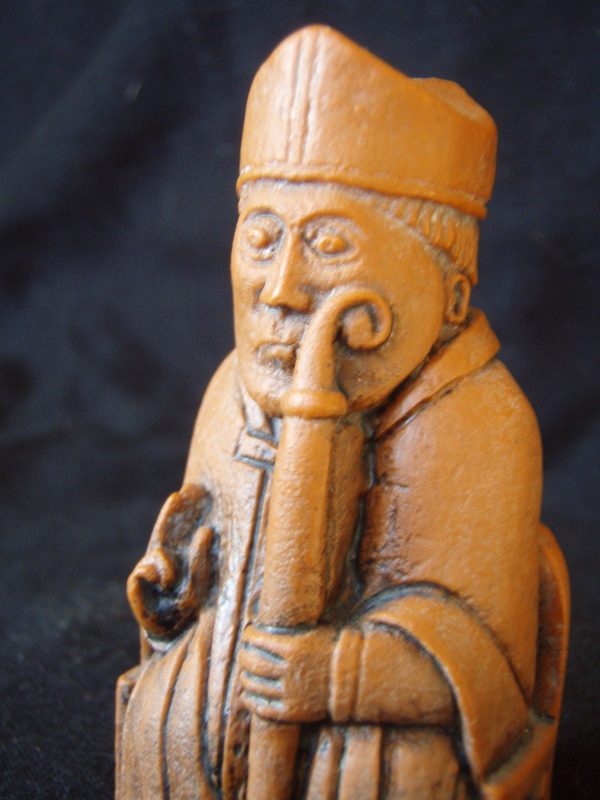 A likeness of St. Dervil from the present-day Our Lady of Blacktip cathedral. Blacktip Island is bracing for today’s 441st St. Dervil’s Day festivities, honoring St. Dervil of the Iguanas, patron Saint of scuba diving and iguana husbandry. A Rosicrucian monk fleeing colonial authorities, Dervil landed on Blacktip Island in 1542. “He built the island’s first monastery from conch shells, coral rock and marl mortar,” island historian and museum curator Smithson Altschul said. “Dervil tried to remove himself from the secular world, but good luck with that on this island, even back then. A study in contrast, Dervil also raised iguanas in his one-room monastery. “He was barking mad,” Altschul said. “He lived with dozens of rock iguanas. Called them his monks. Tried to teach them Gregorian chants. But he had banished the man-eating crocs, so he was golden with the locals. Dervil’s ministry was cut short December 27, 1557 when Norse raiders, blown off course on their way to Greenland, sacked the monastery. The church bestowed sainthood in 1572, making St. Dervil the Tiperon Islands’ first, and only, martyr. Modern observances focus on Dervil’s life rather than his death. The highlight of the day, as ever, will be the mead brew-off, with residents trying to reproduce Dervil’s original mead recipe, lost when the Norsemen torched the island. Some are more successful than others. The winner of the brew-off will receive an iguana.